THIS CHARM. Lanturn has so very little merch, that I am desperate to get my hands on anything of hers that isnt a flat! AND this has a (slightly) alternate pose! I love alternate poses ;-;! Man I thought I would never be able to find this! Lanturns not that popular, so I didnt think there would be many of these suckers floating around since the promotion, unlike Vees or Kanto starters. I finalllllllllyyyyy found one on Y!J. 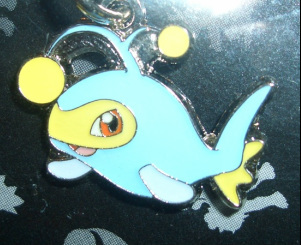 It was perfect -- in package, and no Chinchou !! 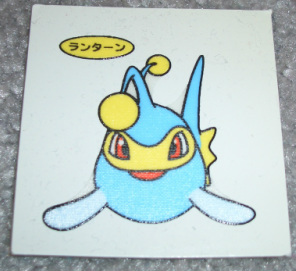 (I dont like Chinchou XD) And it wasn't at a starting bid of 3495874985475894 yen! But of course something had to be wrong.... THE SELLER WOULDNT SELL TO DEPUTY SERVICES. I was so upset! Thankfully, Gin came to my rescue and offered to middleman! I am SO incredibly super grateful. I didnt even get to see it in person for weeks XD I had it sent to my home while I was still at college. I was still quite excited though when one day my dad tells me on the phone "Oh. Someone from Japan sent you a fish." 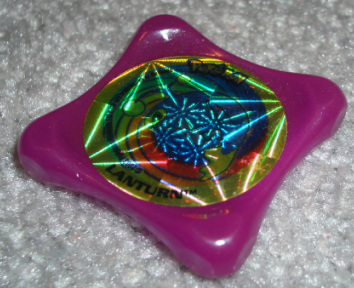 My first piece of Lanturn merchandise! 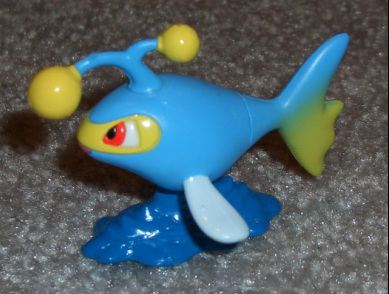 This Lanturn was part of my TOMY hauls from my childhood. 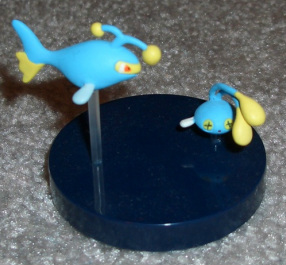 It's such a shame that they didn't/don't make more Lanturn stuff... poor guy is so unloved. Super adorable! Got the normal happy little Lanturn kid from a pkmncollectors member. :) The clear one I am so glad to own! It's wonderful! I still don't know what a Wap is exactly. If you squint enough, you can make out Lanturn. This thing is impossible to take a picture of. I can hardly see the Lanturn IRL to begin with. Omg. Usakochan made the patch for me as a little gift for Christmas, and I died. This was a such a incredible gesture and I was so surprised when I got it in the mail. I love it so much that I refuse to put it on anything so it doesn't get ruined/any wear!